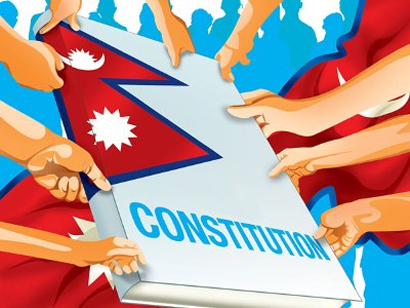 Home / Political News / News / Is constitution amendment possible? Prime Minister Pushpa Kamal Dahal had a plan to register the constitution amendment bill in the parliament before embarking on his New Delhi trip on 15 September in a bid to address the demands of the Madhesi parties and to please India. However, he failed to register the amendment bill as the main opposition, the CPN-UML, firmly stood against amendment to the statute. The RPP-Nepal has also opposed the idea of amending the constitution. Prime Minister Dahal wanted to please the Indian Prime Minister and other leaders by registering the amendment bill before flying to New Delhi, but his plan has suffered a serious blow. Certainly, amendment to the constitution seems impossible unless the main opposition CPN-UML and RPP-N cooperate with the government. UML has already clarified that it will stand against the proposal of the constitution amendment. The CPN-UML and RPP-N has strength of 200 lawmakers in total and they are enough to fail the amendment bill because the bill should be endorsed by a two-thirds majority of the 595-member parliament, which means about 400 lawmakers should endorse it. Parties like Nepal Majdoor Kisan Party, CPN-ML and National People’s Front will also oppose the amendment bill. These three parties have 12 lawmakers. Hence, there will be short of 17 votes to amend the bill even if all other parties stand in favour of amendment. Even a section of the Nepali Congress is likely to oppose the amendment bill. The CPN-UML can even block the passage of the bill as the Maoist lawmakers did to prevent then Finance Minister Surendra Pande from presenting the budget in 2011. Obviously, not only the CPN-UML and RPP-N lawmakers, the people who participated in the Constituent Assembly elections in 2013 are against any amendment to the yet-to-be-implemented constitution at the Indian design. They think the Madhesi leaders who are demanding amendment to the constitution have an ill intention of disintegrating Nepal in the long run and amendment to the national charter will be beginning of the national disintegration. The move the MC and NC are making to amend the constitution is also likely to become suicidal for these two parties. Their popularity, especially in the Kathmandu valley has eroded after they pulled down the KP Oil-led government. “The power hungry NC leaders have damaged popularity of NC in the Kathmandu valley. The party that won 11 seats under the First-Past-The-Post electoral system (direct election) will not win even three seats in the next elections,” said an NC leader on the condition of anonymity.